View of the New Haven, Conn. construction site of Alexion’s new global headquarters, taken in April 2014. 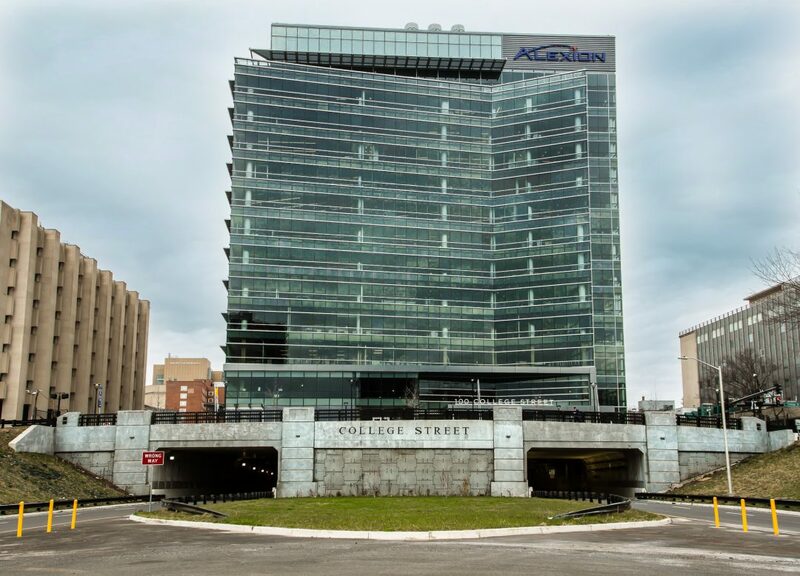 Architectural rendering of Alexion’s new global headquarters. Occupancy is planned for late 2015.